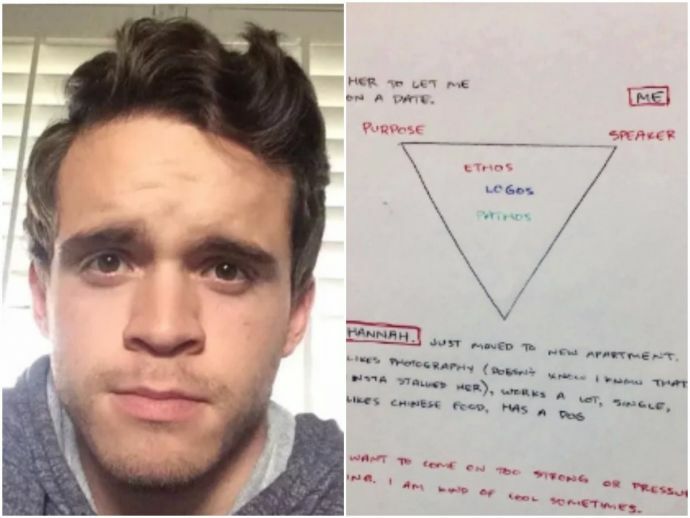 Student Asks Professor To Help Him Propose A Girl, What Happens Next Will Melt You! I wish they made more professors like these! If your heart flutters for someone and you ask the person out, then trust me, half the battle is won! I’d even say 90% of it, is. As I say this, I absolutely understand that it’s not, I repeat, NOT an easy task. The fear of rejection, the fear of coming across as creepy, etc haunt the daylights of someone who is about to approach. So was the case of Jake Moreno. 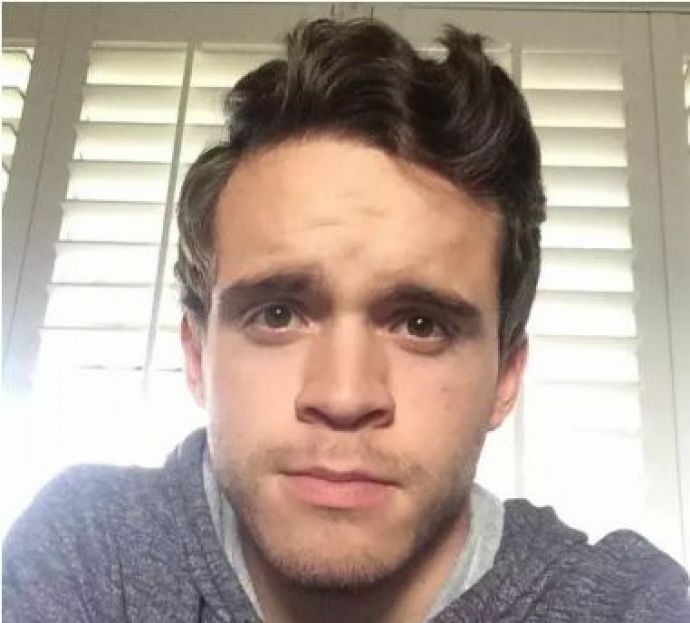 This 22-year-old from Salt Lake Community College in Utah was totally crushing on this girl and wanted to go out with her. The desperation to have her say a ‘yes’ led to Jake turning to his professor, Shannon Atkinson, for advice. Jake always found his philosophy of religion professor to be damn cool. So one fine day, Jake gathered all his courage and explained Atkinson his situation. 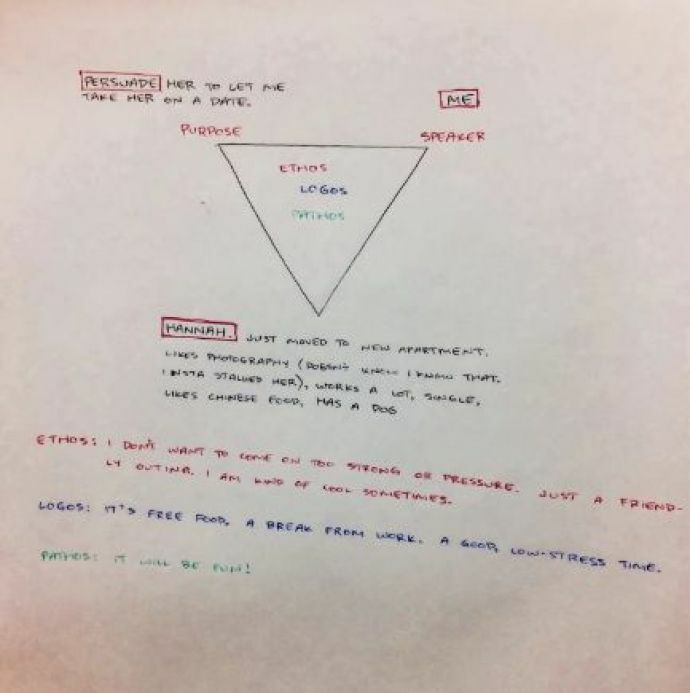 “Jacob approached me after class wondering if the triangle and Aristotelian Rhetoric could be used to ask a woman on a date and I was intrigued, thus my help,” said Atkinson. Now for those of you who are new to philosophy, we’ve got your back. For beginners, any type of communication can be considered a trilateral relationship. Each point of the triangle affects the other two points, while all the points are influenced by the general idea of the topic being already discussed. On hearing Jake’s story, Professor Atkinson was all up for helping him and agreed to assist Moreno in his plans. “Honestly, Jacob was the brains behind the whole thing; my part was only in helping him form the ‘wording’ of the text so he didn’t come off too strong. My only real input into this whole thing was having him really appeal to the pathos part of the triangle and be sensitive and cognizant of the ‘details’ of her life situation, as often in rhetoric of this type that is what is going to put him over the top, so to speak,” Atkinson added. Jake discussed the few things he knew about this girl with the prof. Together they went over with the ‘wording’ part of the plan and left it on Jake to send it or not. “This is where Jacob brought up how she was moving, he wanted to create a stress reliever, and then the kicker, her dog. I thought including all three would appeal well to her pathos. The logos and ethos sides were pretty straightforward and he had these pretty much settled,” said Atkinson. Want to know what happened next? 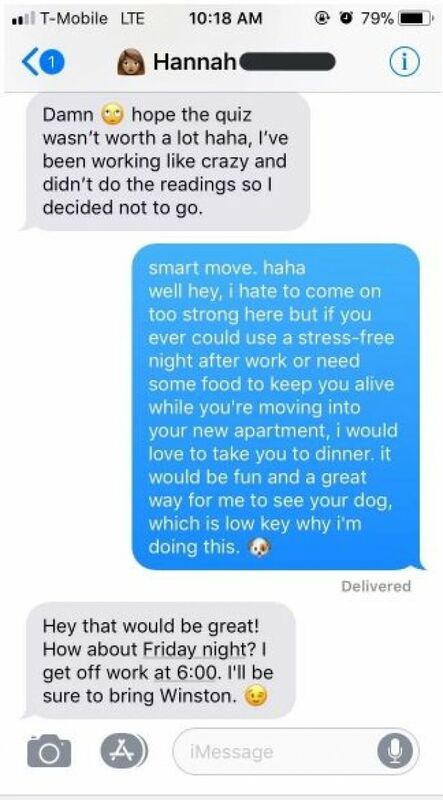 Smart move you too, Jake! After Jake shared his story on Twitter of how he asked Hannah out, the tweeple went all ‘Awww’ upon them! Letting y’all into a couple of reactions. Did they go out on the date? If yes, how did it go? - your mind might be asking me. Well, Jake being a sweetheart, he posted deets about his date. Cliched yet cute, they went for a bite, watched the sunset together and played with Winston. Check it out! JUST GOT BACK FROM MY DATE LOOK HOW CUTE HANNAH IS I STILL CAN'T BELIEVE SHE SAID YES ???????? WE FINGER PAINTED THE SUNSET TOGETHER IT WAS SO AMAZING AND THE PAINTING WAS GOOD BUT THE REAL MASTERPIECE WAS NEXT TO ME THE WHOLE TIME ???????? Professor Atkinson was grinning ear-to-ear on finding out about Jake's date. 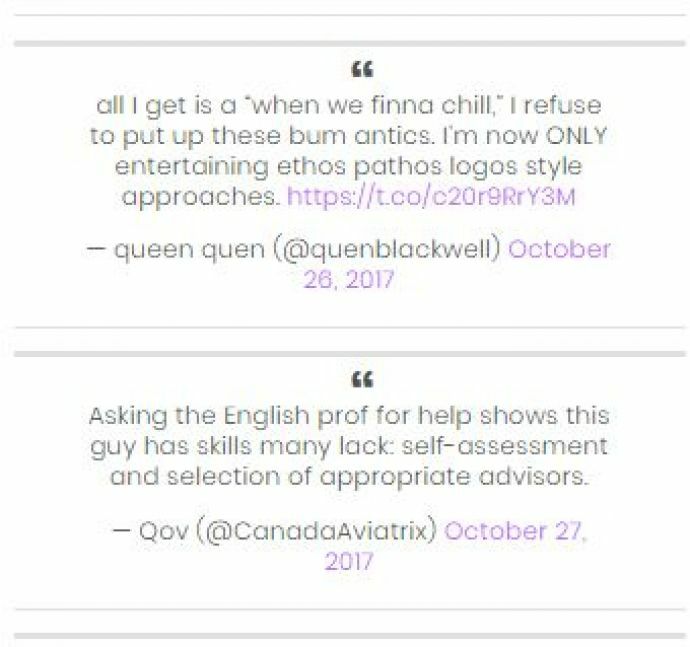 "I guess it was quite successful because Jacob said she said yes, went on the date, and now perhaps matchmaker will have to go on my resume in the near future," he says while signing off.